How many times have you been on a long road trip and wished you had a great place to stop and let the kids run around and burn off some energy? This has happened to me more times than I could count. Usually we are stuck with a fast food play land or a rest stop. But how great would it be to have a wonderful park with an amazing playground, walking trails, and a pond that is easy on and off from the interstate? Well, if you are traveling on Interstate 39 in north central Illinois, you are in luck. 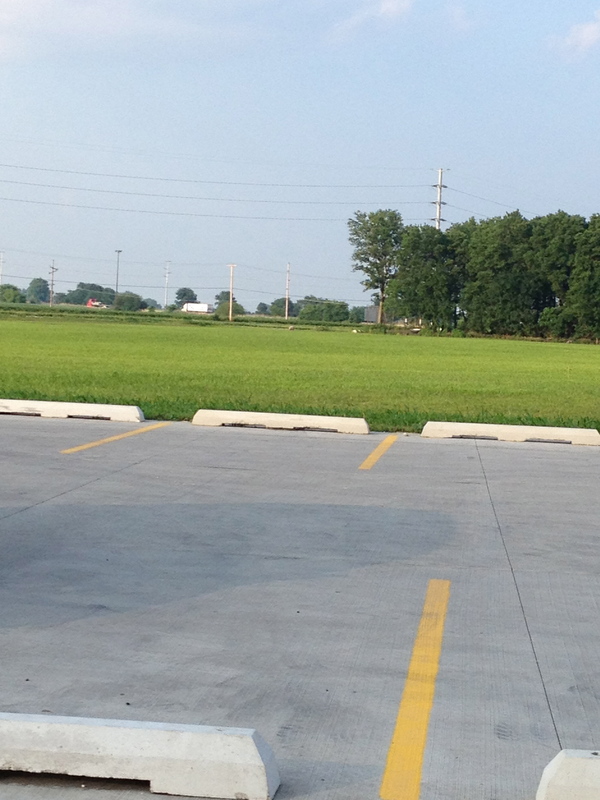 Just a minute off the interstate is just that park you have been looking for. Take Exit 57 on I39 (Route 6) and head west. If you were traveling south on 39, turn right off the interstate. If you were traveling north on 39, turn left off the interstate. Turn right on East 5th road. You will see a sign for Rockwell Cemetery and the park will be just up on the left side of the road. You can see I39 from the park. It is that close. There is an amazing playground there. It is castle themed with lots of slides, climbing obstacles, and bridges. 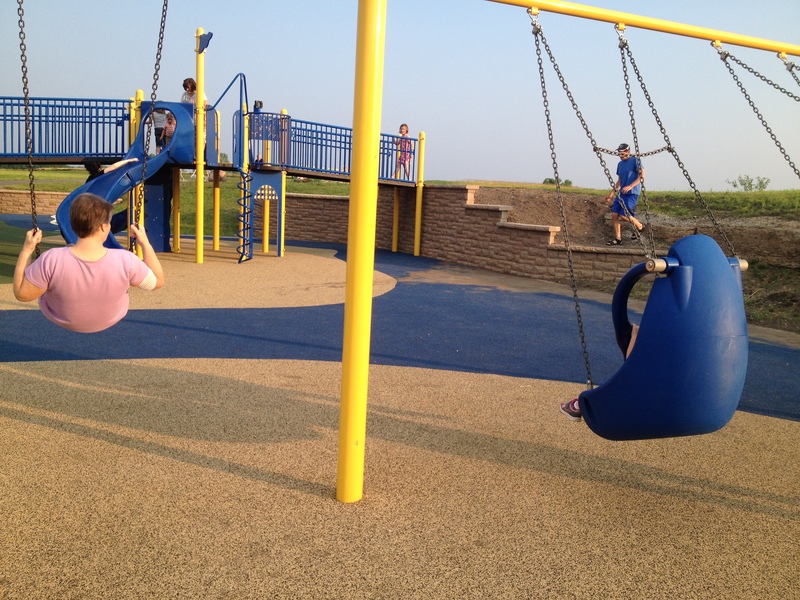 There are different kinds of swings and some spinning and rocking equipment. There are walking/bike trails and a nice pond. When we visited, the park hadn’t been open very long and there are still a lot of things that are going to be worked on. There were places where shelters will go in. 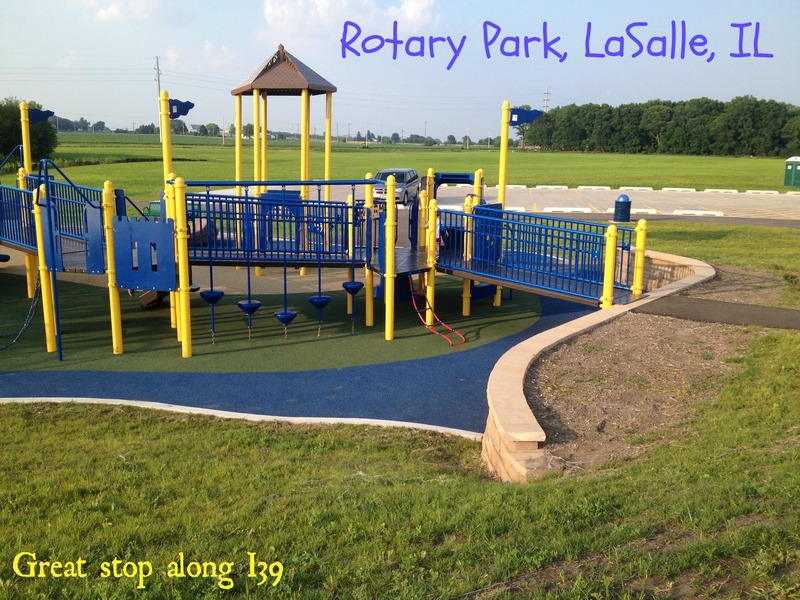 So next time you are traveling on Interstate 39 and need to make a stop, or if you live in the Illinois Valley, make a visit to Rotary Park (aka Castle Park) and your kids will thank you. 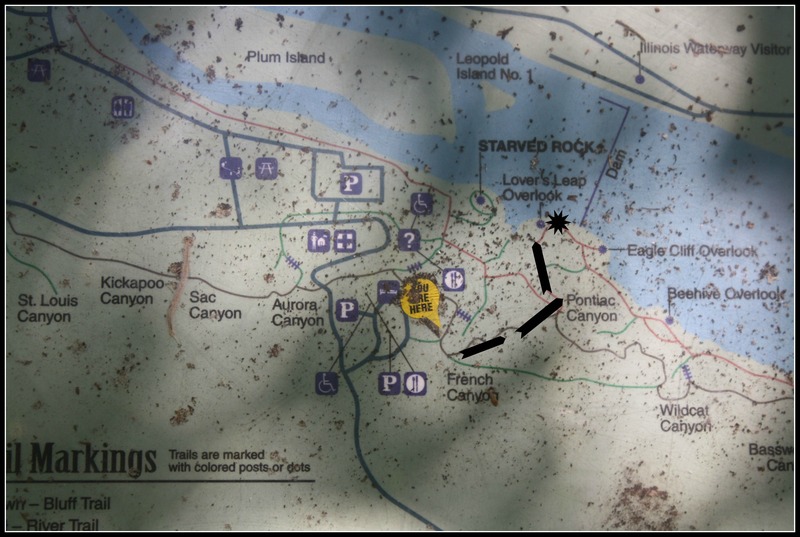 This entry was posted in Illinois Valley, Interstate 39, Things to Do and tagged Castle Park, I39, Illinois, Interstate 39, LaSalle, park, Peru, pitstop, Rotary Park, Rt 6, Things to do. Bookmark the permalink. Per your advice we went to check it out today. Definitely a great spot! We’ll be going back again!